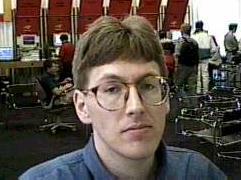 Looking rather gloomy (and in need of a haircut) during Novell's Brainshare '96 technical conference in Utah. Started in "Sct. Petri skole" (german speaking school) in Copenhagen, Denmark. My parents (and I) moved from Copenhagen to the countryside and I went to "Susåskolen" in Skelby, Denmark. Won prices in the "Philips contest for young scientists and inventors". 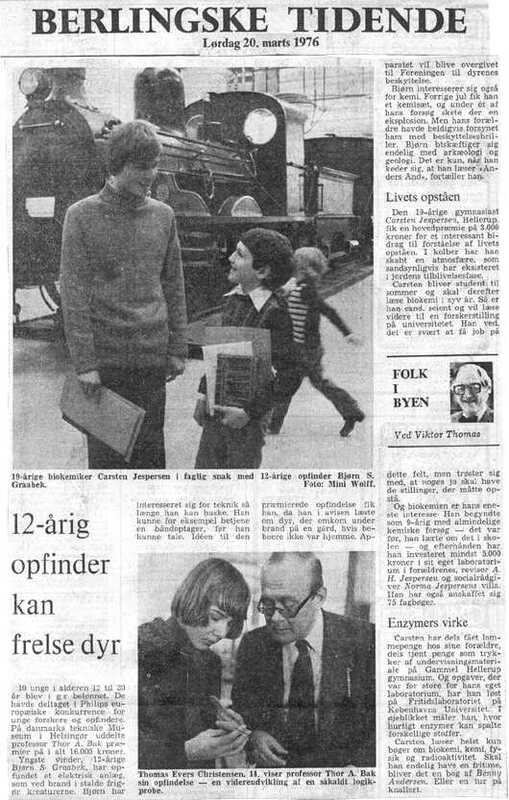 One of the prices was membership of the Danish inventors association (link is in Danish). 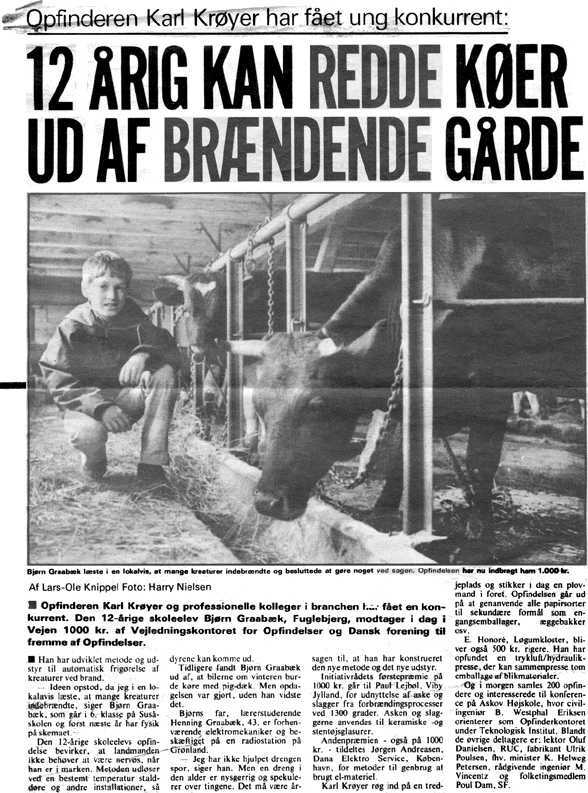 I was very small for my age (12 at the time), so the newspapers almost all featured pictures of me and the 1'st price winner who was quite tall. Later that year I won another price for the same project. That also caused lots of newspaper articles and some radio interviews. Susåskolen was a small school with only 7 classes. 8'th year the class went to "Glumsø skole" in Glumsø, Denmark. Lived in the US for almost a year and attended "Alta High School" in Sandy, Utah, USA as a freshman. When I got back home, I went to "Fuglebjerg skole", Denmark. And when that was finished, I went to Næstved Gymnasium og HF, Næstved, Denmark. I then got religion and served as a Mormon missionary in southern Germany and Austria. Elisabeth was born. Sadly she died in January 1989. We all moved to "Sonning Common" in Oxfordshire, United Kingdom. For four months we lived in Dublin, Ireland. Moved to Denmark. Two months later we bought a farm from 1912 in Fårdrup (click here for a map), a tiny village in western Sjælland. No fields left, but we do have 2239 square meters to keep free of weeds. Lots of things are important in my life, my wife, my kids, but also my activity in The Church of Jesus Christ of Latter-day Saints, also known as the "Mormons". As a member of this church, I served two years as a missionary in the Germany Munich mission comprising southern Germany and parts of Austria. Fell-walking, particularly in Scotland. My family and I have also hiked around in "Arches" and "Canyonlands" national parks located in southern Utah. My friend Phil Hatch has some excellent information about hiking so-called "slot canyons". Ireland is another place we have hiked in. Photography. My main camera used to be a Sigma SA-300 35 mm. SLR. Despite the advantages, I miss the days of analogue photography. My first digital camera was a Canon Powershot A20. My main camera is now a Canon S2 IS. Information technology, computers, specifically networks and datacommunications.